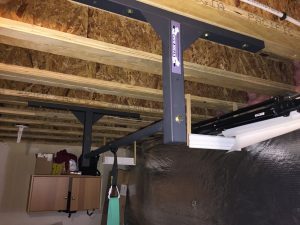 Engineered beams are becoming a popular building alternative to the standard 2X4 especially in garages and basement ceilings where floor support is critical to the floor above. 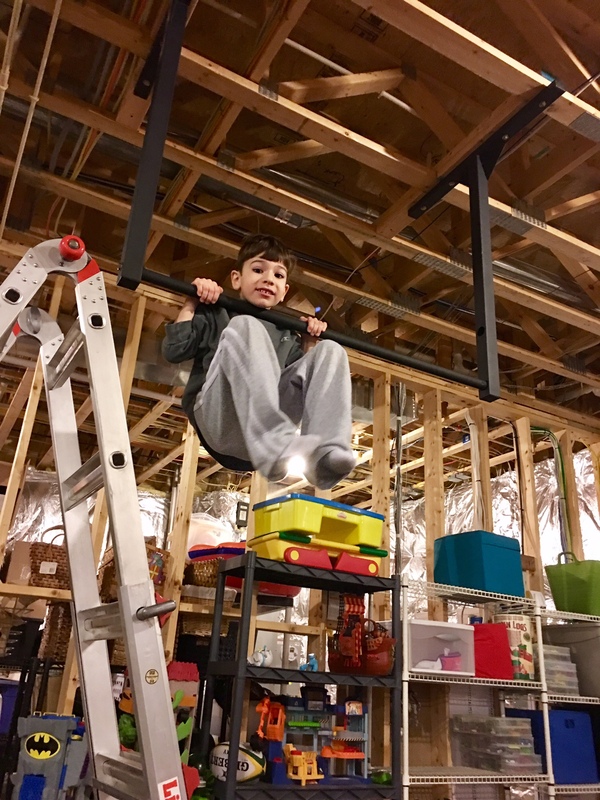 We are frequently asked how mounting a pull up bar to wood I beams is accomplished. The answer is simple, mounting a pull up bar to 2X4 studs or engineered beams is the same process. 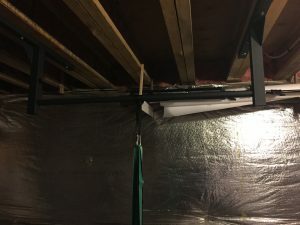 I have mounted a Stud Bar pull up bar to a finished drywall ceiling with wood I beams, here is what I discovered. Stud finders seem to be less accurate when sensing the thinner beam rail compared to a 2X4 stud. Take multiple readings, make sure you use the tried and true knuckle tap to confirm there is a solid sound behind the drywall, opposed to a hollow sound. Measure twice, drill once. 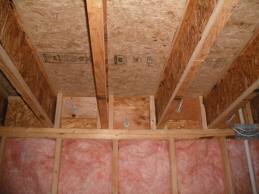 Once your beams are located on a finished drywall ceiling ensure you drill your pilot holes in the center of the beams wood rail. On an occasion I have seen engineered beams not follow the standard 16″ on center spacing we are accustomed to seeing with 2X4 construction. 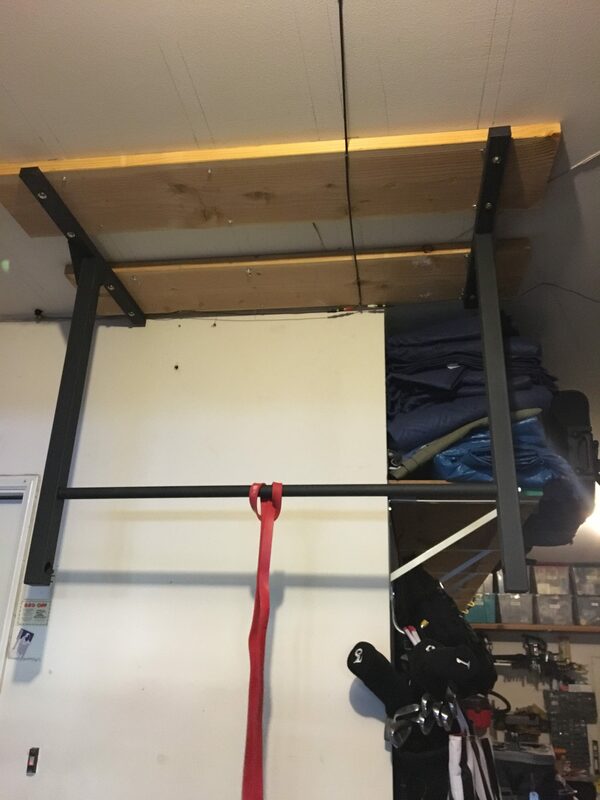 If this is the case, your 48″ wide Stud Bar pull up bar will have to be shortened to line up with the spacing you have. If you have any questions you can feel free to contact us! We are happy to customize our bars to work for you. 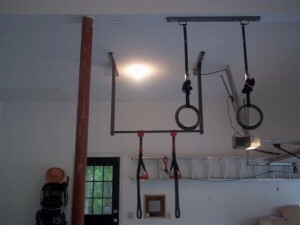 We provide 5/16″ X4″ lag screws with our pull up bar as seen in our installation video at http://www.studbarpullup.com/installation/. 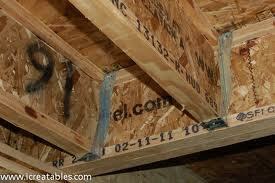 We recommend using 5/16″ X3″ lag screws when installing into I beams. We can provide 3″ lag screws upon request just let us know in your order notes.